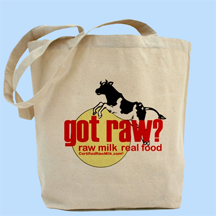 Raw Milk USA The Health Benefits of Drinking Raw Milk! Over the last two years, I've become a proponent of raw milk (especially raw fermented milk, see below). Raw cow's milk is my personal recommendation, but even raw goat's milk has merit. What's so good about raw milk? Because it's not homogenized or pasteurized, it's nutritionally superior to dead, cooked milk. Raw milk seems to be far easier to digest, and it contains living bacteria cultures that enhance digestion and even soothe the digestive tract. This attack on raw milk is dressed up to look like a public safety concern. Raw milk is dangerous, regulators claim, because the live cultures might get contaminated with unfriendly bacteria and harm someone. The preferred alternative, it seems, is to kill all the food so that it harms everyone equally. 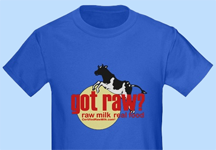 Support the raw milk movement! 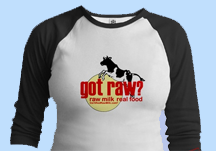 The Official Logo for Raw Milk! Support Your Right to Eat Healthy Food!